If I told you I was feeling confident about my allotment, I would be lying! And if I told you that I didn’t have a meltdown one afternoon after gazing at the neighbouring plots around me, well, that would be a lie too. After a few weeks away from the allotment, serval frosts, and a pep talk with myself, I am back and determined to make it work. I have 6 semi raised beds in total, all of which are now some what filled with young plants or seedlings. 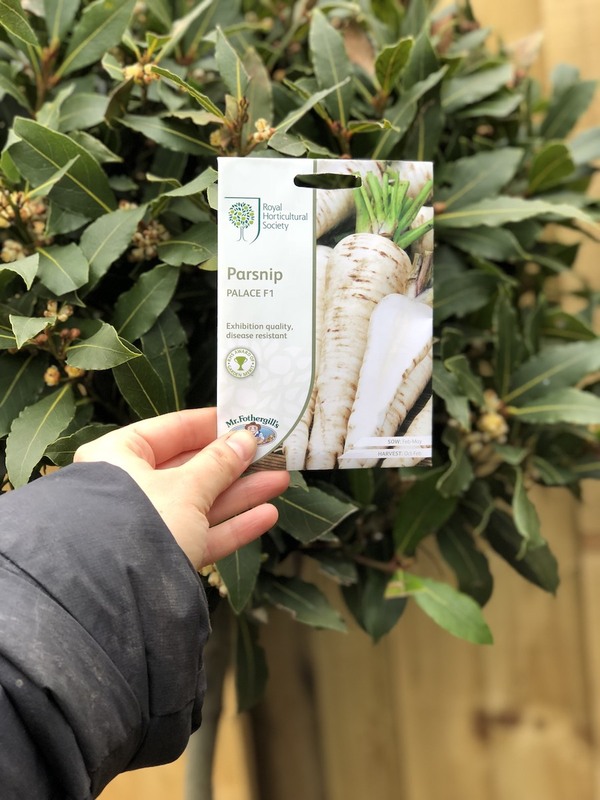 During our ‘surprise summer’ weather last week I took advantage of the warmer ground temperatures and sowed Parsnips, Carrots, Radish, Beetroot and Turnips. In between the rows of my root veg I have also planted some lovely annuals (Marigolds, Calendula and Petunias) that are brilliant at deterring pests such as, Carrot Fly. All the seeds I use are from the RHS seed range as they are fault proof. It is rare that they do not germinate and they are great value for money to. Within the same bed I planted two asparagus crowns with some added mulch to help them settle into their new home. Asparagus can take 2-3 years to establish before you are able to harvest them fully but they are a great investment as some plants give impressive yields for up to 15 years! Next up…. in a separate bed I have Courgette, Butternut Squash and Nasturtium. I personally like to buy my courgettes as young plants. This is because it would be a waste for me to sow them from seed as I don’t have room for more than four plants. Plus, the fantastic thing about courgettes is that each plant provides fresh yields all the way to late summer. The varieties I planted were Butternut Squash ‘Metro F1’ and Courgette ‘Summer Ball’. Here at Wildbunch we sell young veggie plants for that reason! It allows you to grow a larger variety of vegetables without having to sow more seeds than you need. I cant wait to watch them grow over the next few months. Lastly I planted Kale in a raised planter in hope that the birds and slugs would stay clear of my precious leafy greens!! I can confirm, that this did not stop them and I have resown some more and this time I protected my crop with netting and sprinkles egg shells around the edges of the planter. I wasn’t lying when I said I really am learning as I go. So that concludes my latest allotment update. What started as an overwhelming project, has now become my space to explore and experiment with my way of gardening. If you to have started a new gardening project, planted vegetables for the first time or have any words of wisdom to help us ‘allotment newbies’ then please feel free to share your experiences with us.